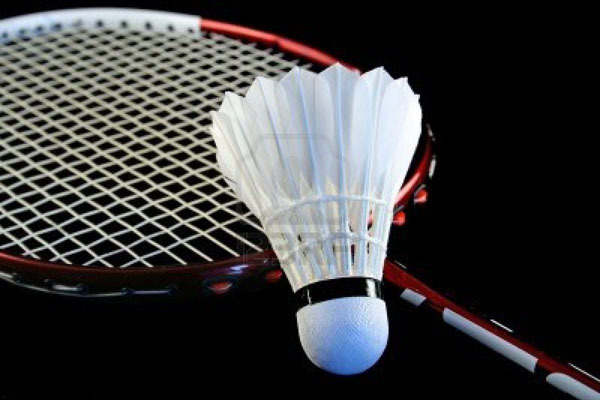 ISLAMABAD, Oct 20 (APP): Pakistan’s Muhammad Irfan Saeed Bhatti will face challenge from countryman Rizwan Azam in the final of men’s singles event of International Series Badminton Tournament at Liaqat Gymnasium on Friday. Both the shuttlers defeated their respective opponents convincingly in the semfinals on Thursday. In the first semifinal, Bhatti overcame counryman Syed Shabbar Hussain 21-9, 21-9, while Rizwan beat Muhammad Muqeet Tahir, another Pakistani 21-13, 21-8. In the first semifnial of women singles event, Pakistan’s Mahoor Shahzad beat country-fellow Saba Rasheed Â 21-14, 21-10, while Pakistan’s Palwasha Bashir edged passed Nangsal Tamang of Nepal 21-16, 21-12. In mixed doubles first semifinal Nepal’s Ratnajit Tamang and Nangsal Tamang beat Pakistan Rizwan Azam and Sara Mohmand 21-17, 21-15. While in the second semifinal Pakistan’s Muhammad Irfan Saeed Bhatti an Mehmoona Ameer defeated country-fellows Murad Ali and Saba Rasheed in three-set match 18-21, 1-16, 21-16. Women’s doubles first semifinal was won Pakistan’s Sidra Hamad and Khizra Rasheed as they defeated country-fellow Ghazala Saddique and Javeria Tahir 21-18, 21-18. In the second semifinal Pakistan’s Palwasha Bashir and Saima Manzoor beat another Pakistani pair of Sara Mohmand and Mahoor Shahzad 21-15, 21-9. Sarwar (Pakistan) beat Anjum Bashir and Amir Saeed (Pakistan) 21-15, 21-11. While in the second semifinal, Rizwan Azam and Kashif Ali Sulehri (Pakistan) defeated Muhammad Atique and Awais Zahid (Pakistan) 21-10, 21-12. The final matches will be held on Friday. After the final fixtures a closing ceremony of the event will be held. Mian Riaz Hussain Perzada, Minister of Inter Provincial Coordination will be the chief guest.